Our new practice, Advanced Allergy, Asthma and Sinusitis P.C., is located in the heart of Manhattan, New York, just a block away from Grand Central Station. It is a new practice dedicated to providing the most up-to-date treatment for adult and pediatric patients with allergy, asthma, sinus disease or disorders of the immune system. We offer world-class expertise and the highest standards in diagnostic testing and treatment for allergy, asthma and sinus disease. Our treatment plans are based upon the latest practice parameters and recommendations in our field as published by the American Academy of Allergy, Asthma and Immunology and the American College of Allergy, Asthma and Immunology. At Advanced Allergy, Asthma and Sinusitis P.C., we make extraordinary efforts to stay current in our field by attending relevant regional, national and international conferences and reviewing the current literature, textbooks and online databases. 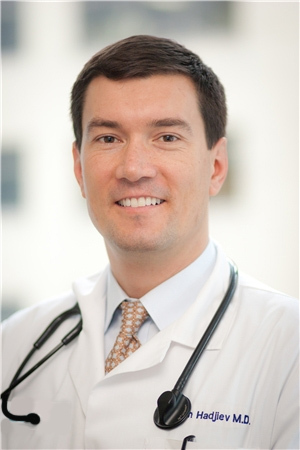 Dr. Boyan Hadjiev is fellowship-trained and board-certified in Internal Medicine and Allergy and Immunology. We firmly believe that having a board certification makes the physician more proficient and knowledgeable in the field of allergy/immunology and sinus disease. Did you know that not all doctors you encounter are board-certified in their specialty, even if they are specialty-trained? We pride ourselves on providing compassionate and efficient care for professionals and busy families, and we will make every effort to maximize your time with Dr. Hadjiev, answer all of your questions, and minimize waiting time. On occasion, we will work with your busy schedule, even after regular office hours, so that you can have all your questions answered, and you can live “allergy-free”! In addition to working at Advanced Allergy, Asthma & Sinusitis P.C., Dr. Hadjiev is the in-house allergist for a busy otolaryngology (Ear, Nose and Throat) practice in Manhattan.